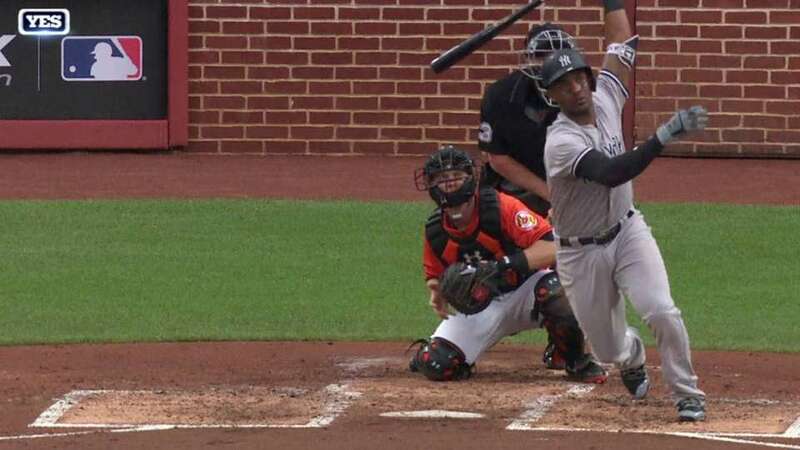 Miguel Andujar and Giancarlo Stanton supplied the thunder, each cracking a two-run homer in support of Masahiro Tanaka as the Yankees weathered threatening storm clouds and reached a new season high water mark in an 8-5 victory over the Orioles on Saturday afternoon at Camden Yards. New York (37-17) improved to a season-high 20 games over .500, securing its sixth win in eight games. Following a delay due to the threat of inclement weather, Andujar hit his sixth homer and Stanton connected for his 12th off Kevin Gausman before the Orioles committed errors on three consecutive plays in a sloppy sixth inning, with Baltimore falling for the seventh straight contest.